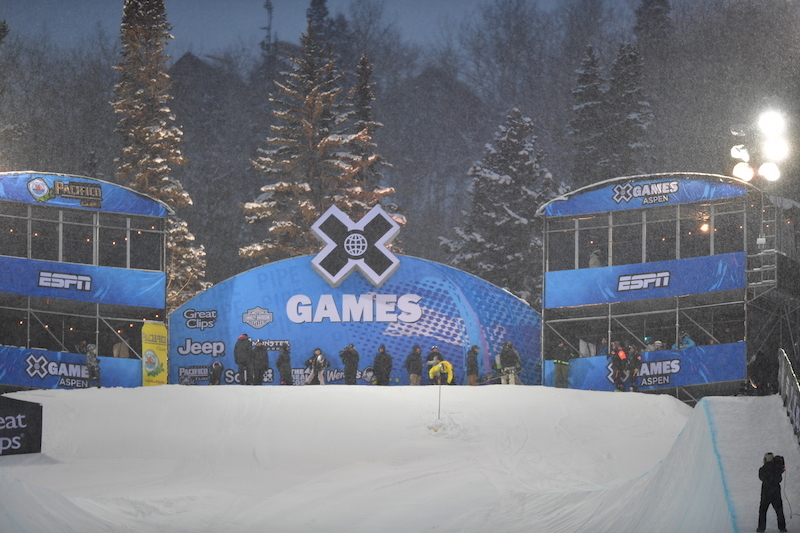 The grand poobah of park contests in freeskiing, X Games, is officially underway in a little place called Aspen. 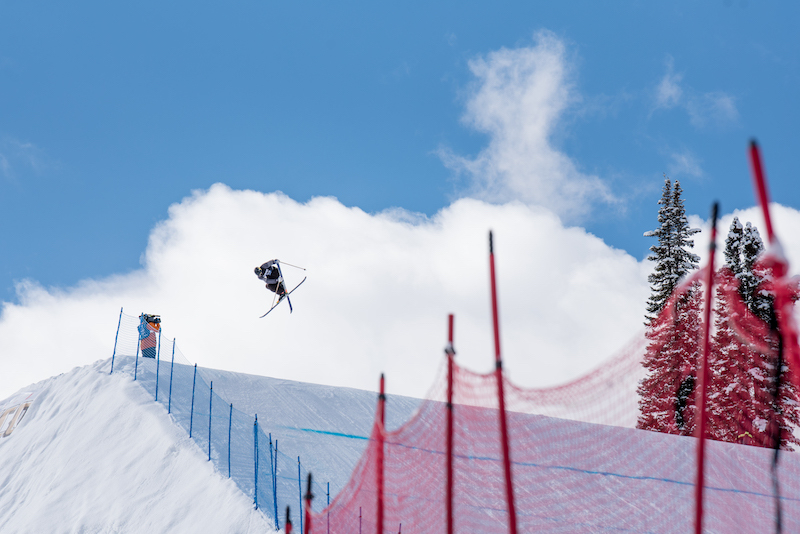 The proceedings kicked off this morning under some welcomed sunny skies and calm winds on the first of four days of competition with Men’s Slopestyle Eliminations, in which 16 competitors duked it out on the always monstrous slopestyle course constructed by the mad scientists at Snow Park Technologies. Only seven competitors were slated make the cut to Sunday’s finals, where they’ll lock horns with the top three from last year’s event (Henrik Harlaut, Oystein Braten and James Woods), who were pre-qualified due to their podium-worthy efforts. 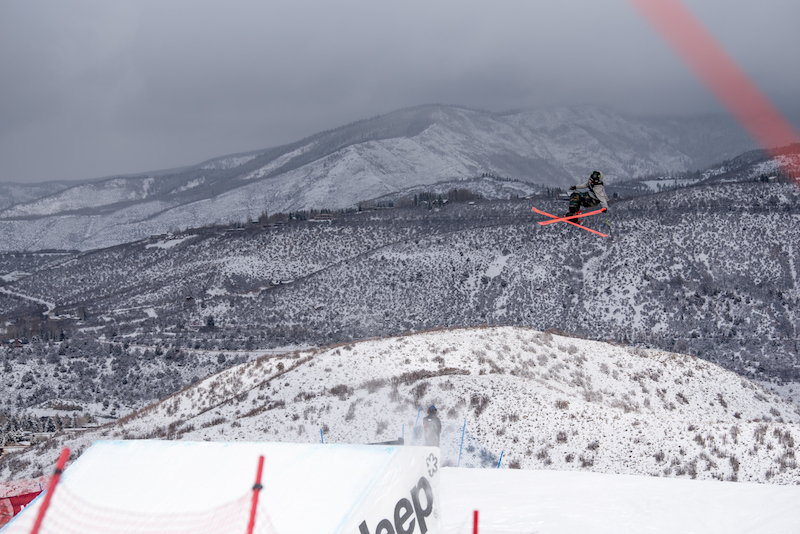 In the end, Canada’s Olympic slopestyle bronze medalist, Alex Beaulieu-Marchand, bested the rest on his first run of two, which was capped off with a stylishly massive switch triple cork on the money booter at the bottom. Just behind him in second was Alex Hall, who was on one today while sporting the finest attire in the field, courtesy of a knitted ski sweater, while Ferdinand Dahl rounded out the top three with his usual unorthodox style. 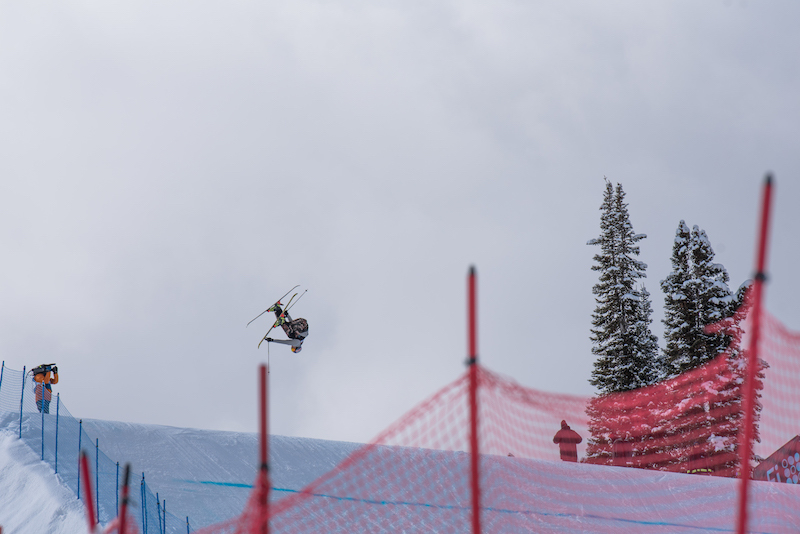 In fourth was the top spinning Jesper Tjader, while another Canadian, Evan McEachran, pulled off a clutch move by finish fifth on the final run of the day after being below the bubble following his first. 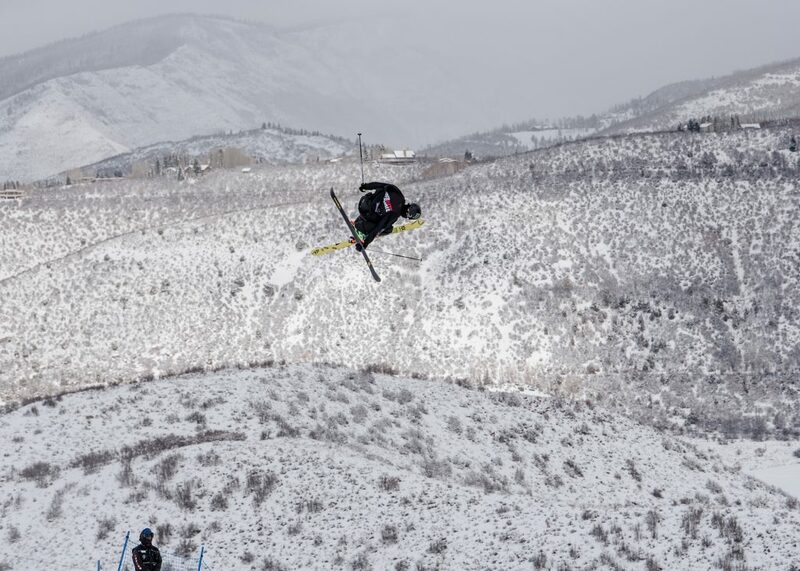 And rounding out the stellar seven was Willie Borm, who’s in the midst of somewhat of a comeback, followed by the always consistent, technically sound and three-time X Games gold medalist, Nick Goepper. 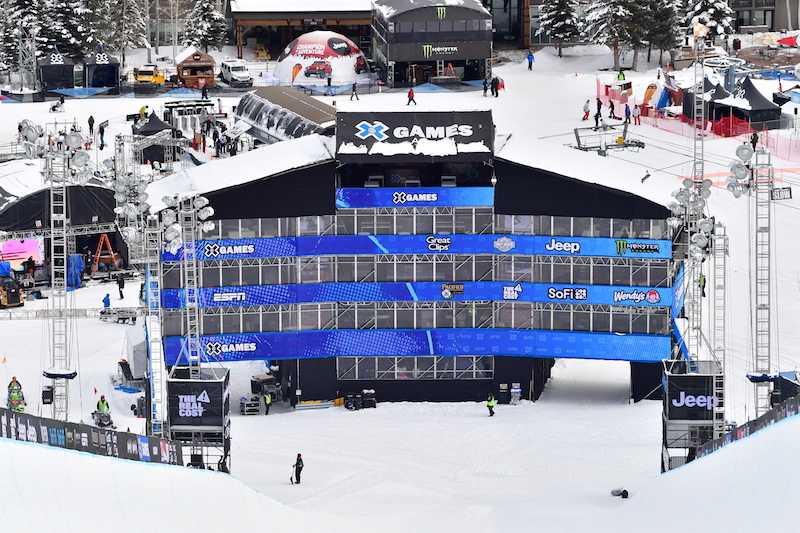 Stay tuned for much more from X Games, which continues this evening with Men’s and Women’s Superpipe Finals, which you can watch live on ESPN beginning at 5:30 p.m. MST, and for more information on the event visit xgames.com.